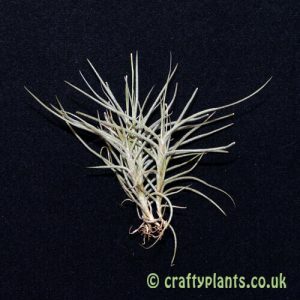 Tillandsia Crocata is probably the most well known scented airplant. 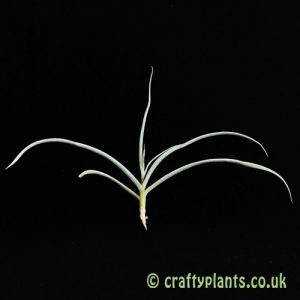 Native to Brazil, this small airplant is one of the easiest scented Tillandsia to care for. 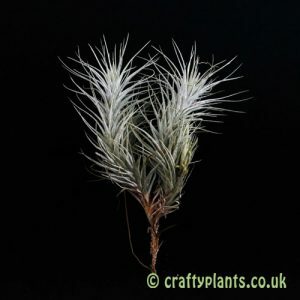 Crocata produces small, bright yellow flowers over a long period that exude a powerful, sweet odour, possibly the strongest perfume of any Tillandsia. Prefers a bright and airy position and can be moved outdoors in the summer to benefit from extra airflow. 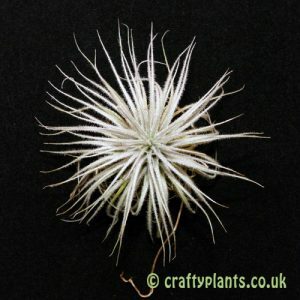 Also available as small clumps. 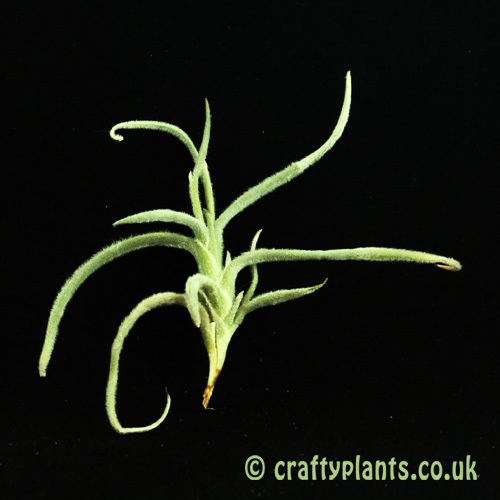 As well as this standard yellow form, we also grow an orange form, Tillandsia Crocata ‘Copper Penny’, which grows to a slightly larger plant.